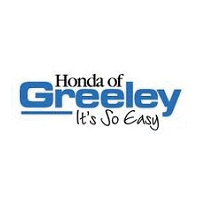 For years, Honda of Greeley has assisted drivers from all over the Longmont, Fort Collins and Loveland area with their auto financing needs. Offering competitive rates on car loans and Honda leases, we’re here to help you make the right decision that will meet your budget. Our philosophy at our Greeley Honda dealership has always been to create a stress-free and enjoyable car shopping experience, and we can say our finance specialists are a true testament to that. They will go to great lengths to help our drivers secure a Honda lease or car loan in Greeley that will leave them at ease, and 100% satisfied. Whether you’re seeking a spacious SUV like the CR-V or stylish sedan like the favorable Accord or Civic, we’re prepared to match you with your ideal vehicle. After spending hours researching your next new or used vehicle, the likelihood of wanting to spend more time inside our dealership to discuss numbers is slim. Here, we offer the convenience of an online finance application that allows you the luxury of starting the auto finance process from the comforts of your own home. Once we receive your application, we will be in contact with you shortly to discuss next steps. For more information regarding our current lease and loan rates or our available specials and incentives, speak to one of our finance specialists at (970) 939-5310. Applying for new Honda financing is easy at Honda of Greeley. Simply contact our Finance Center online or by phone, or start the process below. It’s a short drive from Greeley to any of the Colorado cities noted above. However, you can start the process by applying for your car loan online now. Or, if you have questions about getting a Honda lease and you live over in Longmont or Loveland, well, just pick up the phone and give us a call. Alternatively, you can always drop by 4535 W 29th St Greeley, Colorado during our regular business hours. To get a head start, you can begin the application process using our e-form.